Ever since capped mobile data became the norm, we have been faced with a conundrum—download things on mobile data for instant gratification or wait until there's WiFi that won't put a dent in our data plan. 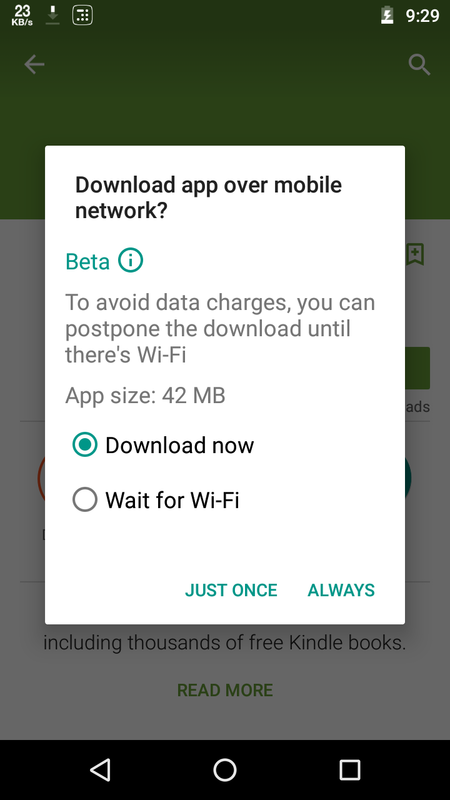 The Play Store has long had an option that would prevent large downloads from starting without your express permission on mobile data, but now Google is testing a system that lets you queue these downloads for the next time you're on WiFi. This option is only showing up for a few users, so there's likely no way you can trigger it. Those with the new option will see a tweaked dialog box appear when attempting to download something on the Play Store with mobile data. The current official behavior simply lets you choose to only download large apps with WiFi. The new dialog lets you choose download now or "Wait for WiFi." If you choose to wait for WiFi, the download will automatically start the next time you are on WiFi. The Play Store client has a warning that this feature is still in testing. 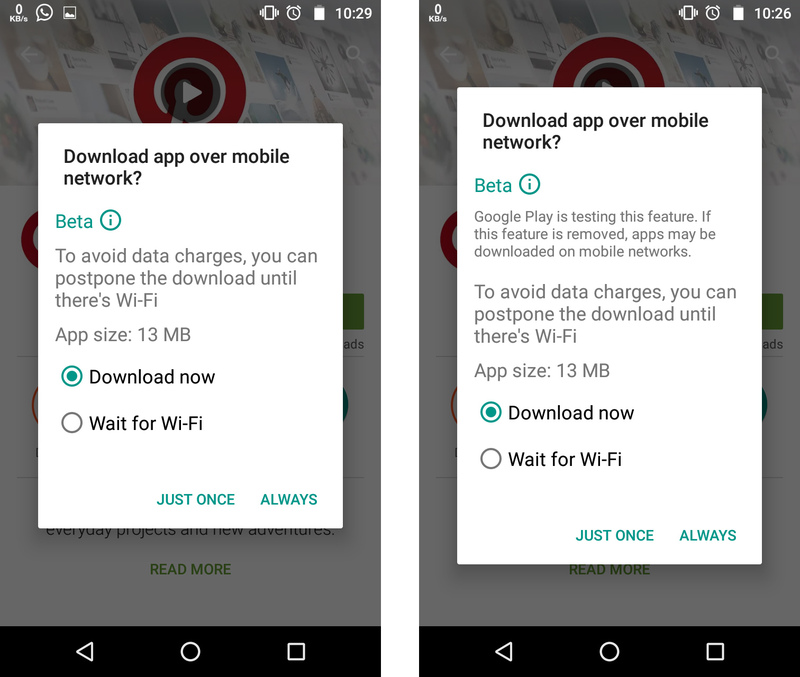 If Google removes it, queued apps might download on mobile data. We're not sure when this dialog will appear, though. 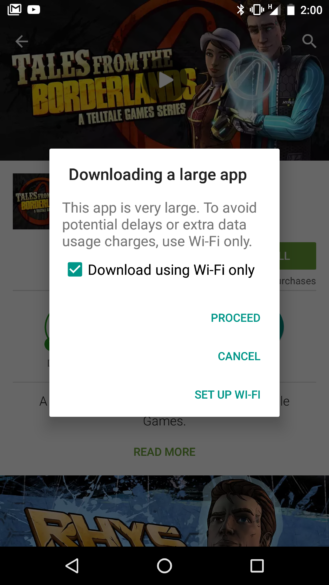 The WiFi warning currently only appears when you're attempting to download something larger than 100MB, but the example our tipster provided is much smaller. It might just be part of the testing, though. We'll keep an eye on this to see if the feature starts rolling out more widely.